The National Company Law Appellate Tribunal (NCLAT) on Monday gave a conditional go-ahead to ArcelorMittal’s Rs 42,000-crore resolution plan for debt-laden Essar Steel. A two-member Bench said the implementation would be subject to the final outcome of the various pending appeals. The financial and operational creditors of the company can be given the funds according to the resolution plan, the Bench said. The resolution profes­sional (RP) of the company will head the monitoring committee, which will ensure that Essar Steel remains a going concern, the NCLAT said. While the appellate tribunal said it would look into the issue of equitable distribution of funds to all financial and operational creditors, it refused to stay the resolution process. In case the NCLAT finds any discrepancies in distribution of funds, it would ask the respective parties to refund part of the money they had already got, the Bench said. The NCLAT observations came on a plea moved by Standard Chartered Bank (StanChart) and the former promoters of Essar Steel. 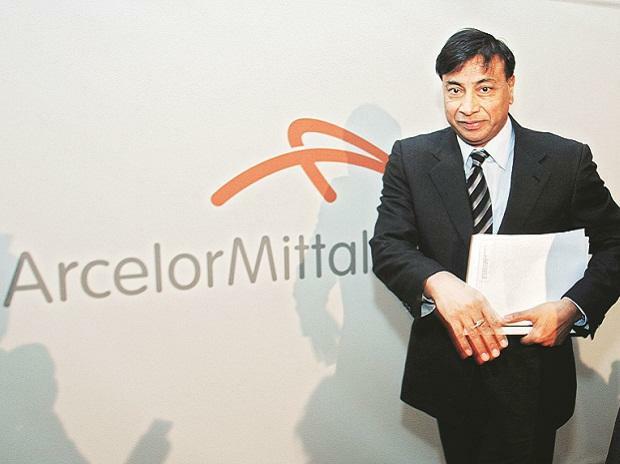 Though the NCLAT did not stay the implementation of Lakshmi Mittal-led ArcelorMittal’s plan, it asked the lawyers to answer whether the appellate tribunal could substitute the resolution plan if it did not balance payments for all the financial and operational creditors. It has also asked if the operational creditors can be classified on grounds of related and non-related parties. It is also unclear whether Essar Steel would move the top court against the NCLAT’s refusal to stay the implementation of the plan. Earlier this month, StanChart had moved NCLAT, alleging that the financial creditors, which formed the core of the Committee of Creditors (CoC), had discriminated against it by allotting only 1.7 per cent of its total dues from Essar Steel for it, while other lenders were getting as much as 85 per cent. During the last hearing on Friday, the NCLAT had said “there cannot be any discrimination” towards the financial creditors. It had then asked the CoC and ArcelorMittal to come up with a better equitable distribution plan. Apart from StanChart, the operational creditors should also get at least 10 per cent of total offer, the NCLAT had suggested. “All operational creditors with claims less than Rs 1 crore should get 100 per cent of the dues and so should the employees of Essar Steel. Only 90 per cent of Rs 42,000 crore should be allowed for financial creditors,” the Bench had said. ArcelorMittal's offer provides financial creditors Rs 41,987 crore out of their total claimed dues of Rs 49,395 crore. Operational creditors, under the plan, have been allotted only Rs 214 crore against their claim of Rs 4,976 crore. Former Essar Steel promoters, on the other hand, had challenged the National Company Law Tribunal (NCLT) Ahmedabad’s order, claiming the ArcelorMittal’s plan should be rejected as their offer of Rs 54,389 crore was much higher. The former promoters have also claimed that should their plan be implemented, neither the financial not the operational creditors would have to take any haircut on their dues. Apart from StanChart and the former promoters of Essar Steel, an operational creditor of the company, Vinayak Road Carriers, has moved the NCLAT against the NCLT's order in which had said that it was only "suggesting" that the operational creditors should get paid more. Vinayak Road Carriers has, however, said that "that the said ‘suggestion’ or ‘advice’ has no meaning in the eyes of law". "The approval of ArcelorMittal's Resolution Plan by NCLT, without ensuring or directing payment to operational creditors, is ex-facie discriminatory and arbitrary. The NCLT has failed to exercise the power and jurisdiction vested with it and has wrongly held that it does not have the power to judicially review the commercial decision taken by the CoC," the advocate for the company, Anand Verma said. The NCLAT Bench has also asked the Insolvency and Bankruptcy Board of India to submit an affidavit detailing how much the operational and financial creditors were being paid on an average in the insolvency cases that were being resolved. The NCLAT will next hear the matter on March 27.